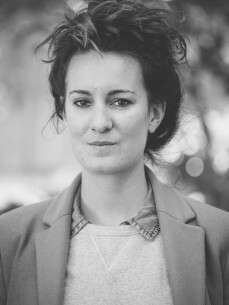 Claire Gaide works as a Content and Sustainability manager for the Parisian music festival “We Love Green”. We Love Green’s objectives are to limit its environmental impact by a sustainable conception and production of the event, but also to benefit from the opportunity offered by the gathering of several thousands of people to raise public awareness for its engagement: participate at the emergence of a more responsible and sustainable world. Audience engagement is thus one of the main challenges. After having gained experience in the organization of Sports Events (World Cup 2014 in Brazil) and a one year study about the articulation between companies' CSR and sponsoring policies, Claire joined the “We Love Green” organization team in order to combine her passion for music, interest in sustainable development and the thrill of organizing events. As part as her implication from conception to production in We Love Green, she established the We Love Green sustainable charter which aims at building a new way of producing public events, and ensuring that it is respected is during the whole process of the festival conception. She is also programming the 3rd stage of the festival, dedicated to debates, conferences and projections about sustainable development. In 2015, We Love Green hosted economist Jeremy Rifkin and activist Paul Watson. Her mission continues all year long by working with the institutions (Paris City Hall, Ile de France Region and ministry of Environment) to build a strong relationship made of exchanges, advices and participations in workshops.